A trained team came to the rescue when Baby the cat became trapped in an old Volkswagon Beetle chassis and needed to be cut out with power tools. Baby. Photo via Specialized Mobile Animal Rescue Team Los Angeles at Facebook. 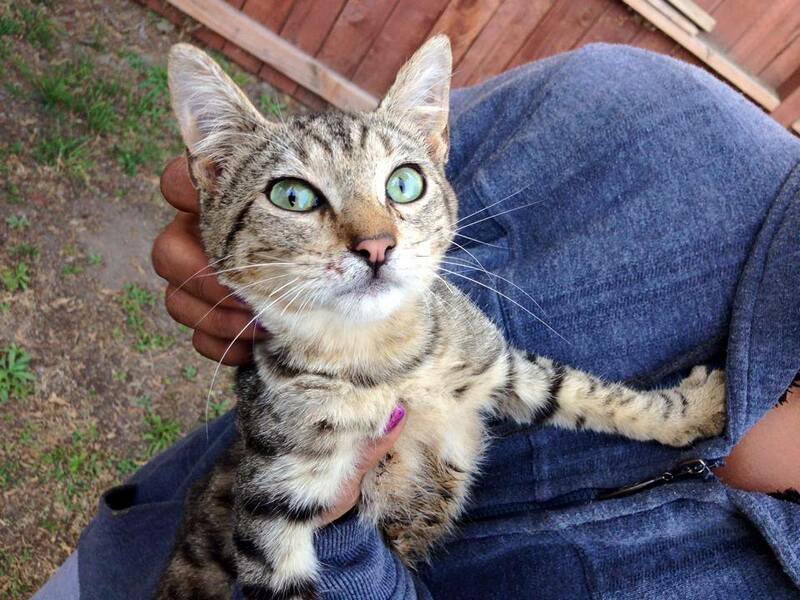 SMART – the Specialized Mobile Animal Rescue Team of Los Angeles County Animal Services – came to the rescue when Baby became trapped in an old Volkswagon Beetle chassis and needed to be cut out with power tools. SMART team mambers El Gato and Mr. Fox were called out for a baby stuck in a vehicle… well a cat named “baby”. Upon arrival, they were surprised that the vehicle (a VW bug) was actually a floor board with no shell. Baby was stuck in the undercarriage of the VW in the drive shaft chamber. The only way out, was to start cutting. So out came the power tools! After some delicate and precise cutting, Baby was free! 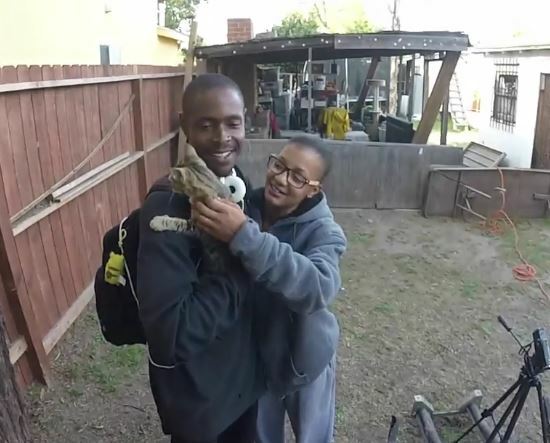 The cat’s family were thrilled to have her back safe and sound in their arms. she must have been terrified of the noise!